Gen Z Customers - Spenders Or Savers? Forrester research is forecasting online holiday sales will increase by 12% this year. 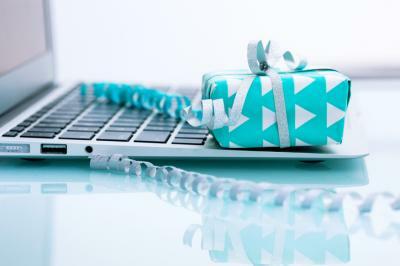 On average it also expects holiday shoppers will spend $689 for online gifts - an 8% increase over last year. While bankers still have plenty of time to shop for the holidays, you may want to compare these numbers with your own shopping habits for fun. Bankers are always looking at the habits of their customers so today we examine Generation Z to see what surfaces. A recent study by The Center for Generational Kinetics gives several insights into how Gen Z (1996 to somewhere around 2012 to 2015) thinks about money, savings, debt, spending and retirement. What may shock you is that they are startlingly different from how Gen Y (Millennials) approaches these issues. The study refers to Gen Z as the "throwback generation," meaning they are learning from Millennials' financial missteps. The upshot is that members of Gen Z share more similarities to Boomers than to Millennials - at least when it comes to financial decisions. Many in Gen Z are already making plans to work during college, avoid personal debt at all costs and stash money aside for retirement. Notably, the study found that 12% of Gen Z is already saving for retirement. This is an especially laudable goal given the lack of retirement preparedness among Americans generally. Notably, 21% of Gen Z ages 14 to 21 had a savings account before age 10. By contrast, only 15% of Millennials had a savings account before age 10. It's also a good sign that Gen Z is taking financial responsibility, which could bode well for future bank usage. Consider that a respectable 46% of Gen Z said they have been inside a bank in the past month. Keep in mind that the respondent base for Gen Z is 14-to-21-year-olds, so this may also explain why more than 50% haven't been to a bank within a month's time frame. Nonetheless, community banks can't take for granted that teens and young adults will eventually become customers, so special emphasis will need to be placed on this emerging customer base. One key question banks need to be asking is how best to reach this tech-savvy bunch that have grown up tethered to smart phones. When determining how to reach this demographic, consider that 48% already have a money or payment app on their phone. There's little doubt that this number will increase as more members of Gen Z acquire smart phones and make money. If they haven't already, banks need to start redefining how they are marketing to younger prospects, using digital media to the fullest extent possible. Interestingly, Gen Z seems to be more debt-adverse than Millennials. In fact, 29% of Gen Z believes that personal debt should be reserved for a few select items and 23% believe personal debt should be avoided at all costs. Millennials shared similar sentiments regarding debt. By contrast though, this is from lessons learned the hard way, after many in this age group racked up significant college-related debts. While studies like these tend to paint generations with overly broad strokes, the findings serve as an important reminder to banks. Be sure to tailor your message to various customer segments because there are vast differences. Although Gen Z customers are young, before we know it they will become more influential and important. Get ready community banks. Yields pushed up 3bp as the equity markets continued to reach new highs. Bank of America reports that as of Q3, 21% of its deposit transactions now happen through a mobile device vs. 18% 1Y prior. The Wall Street Journal reports Social Finance Inc. (SoFi) has pulled its application to open a de novo bank. Efma and Synechron research finds banks and credit unions say they will do the following as they seek to distribute branches: have less branches, but invest in changing the design/model (39%), increase the number of branches and invest in a new design/model (24%), keep branch network the same, but invest in the branch model (18%), and have less branches but keep the model/design the same (8%). Randal Quarles was sworn in as the first ever vice chairman for supervision and a governor of the Fed. As business confidence remains solid and economic growth steady, the FOMC minutes reveal a strong tilt toward a rate hike in Dec, despite some discussion over lagging inflation. A new company backed by MIT called Sigma Ratings Inc., will rate financial institutions' risk based on an algorithm of products, geography, client base, internal controls and compliance with AML standards. They believe this rating is as important as the customary credit rating, especially in high risk markets. They are reportedly already working with 25 institutions. Dallas Fed President Kaplan said he believes another rate hike is warranted only if signs continue to show rising inflation. He stated technology disruptors and globalization are likely major causes of stifled inflation. After the huge breach, the House has introduced a bill to increase federal oversight of all credit-reporting agencies. Proposed requirements include providing federal cybersecurity reviews & phasing out social security numbers by 2020.